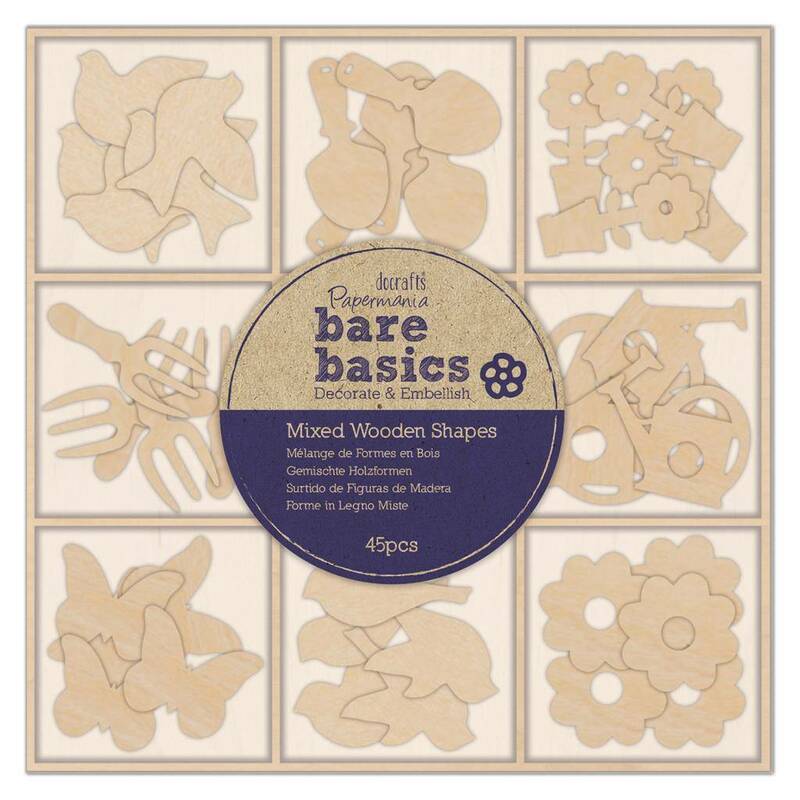 This pretty pack from Bare Basics contains 45 Wooden Shapes. 9 Spring garden themed designs. 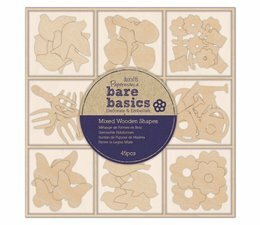 Perfect for creative card making scrapbooking and more. 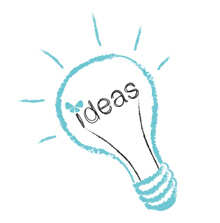 Add paint, glitter or simply leave natural.